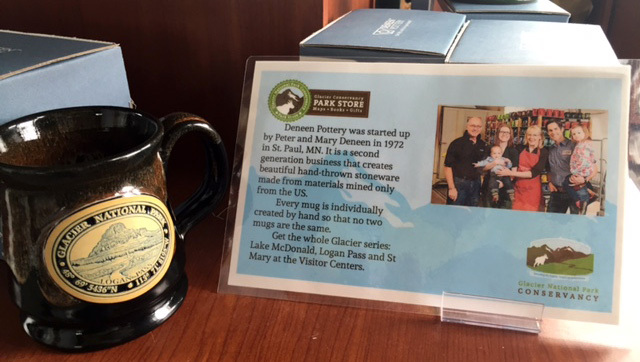 In the last few weeks we’ve been hearing from a growing number of folks that have found Deneen Pottery mugs while visiting our great national parks. It is becoming clear that couples and families, new and old, are turning their vacation plans and free time toward our national park system. 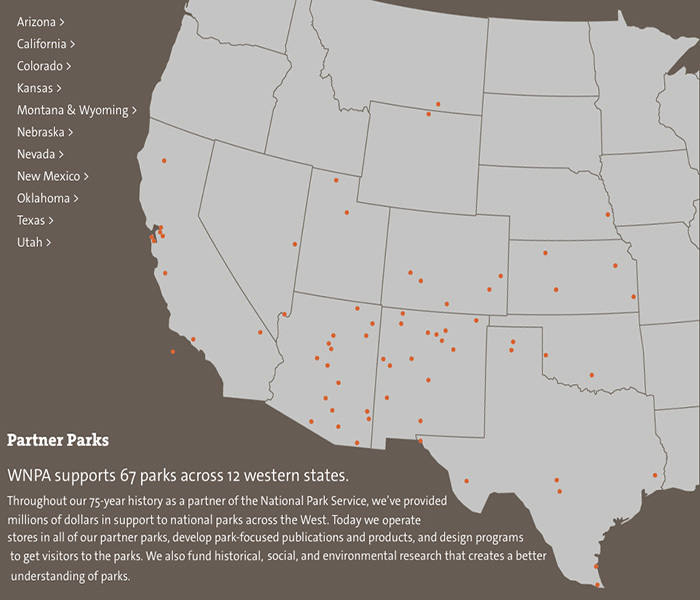 We are thrilled to announce that we are now partnering with over 100 different national parks, national historic sites, national monuments, national military parks, historic state parks, and associations within national parks throughout our country! We have also created a special page on our site called ‘Find a Retailer’ which has both a map and a ‘find by name’ section to help get you connected with our mugs. Speaking of a connection – the inspiration for this post arrived in an email from a long time customer named Steve Dusek who is the CEO of Dakota CDC. Steve was in Glacier National Park this week with his family when they stumbled upon our red Ramsey mugs at Lake McDonald Lodge. They took a moment to look at the offering in the visitor center and shared the below photograph. “If Glacier has these, then I know – I absolutely know – that I have the best mugs.” Yes you do Steve and thank you for sharing!!! When they were at the visitor center at Logan Pass, not only did a mug grab their attention, but so did a fun and informational card. I did send some history and a photo to our park partners, but I had no idea they would put together such a beautifully presented and informative card! Heres’s the text: Deneen Pottery was started up by Peter and Mary Deneen in 1972 in St. Paul, MN. It is a second generation business that creates beautiful hand-thrown stoneware made from materials mined only from the US. Every mug is individually created by hand so that no two are the same. Get the whole Glacier series: Lake McDonald, Logan Pass and St. Mary at the Visitor Centers. Something else that is really cool – this year is our 5th anniversary working with the Western National Parks Association (WNPA), who’s mission is just incredible; We help make the national park experience possible for everyone. If you are unfamiliar with them, here’s a quick video that we love and are proud to share. When we first started our partnership in 2010, everyone had a good feeling that our custom pottery mugs would be a great fit. As we look at the map below and realize that our collectable mugs are now in over 50 locations, it is becoming clear that this is working! We absolutely love having a role in helping WNPA in their mission to support national parks and tell their stories. We believe that national parks are not only tremendous resources, but treasures that everyone should enjoy, learn from, and visit! We hope that our products will be long-lasting keepsakes of the visits people make to the parks. Annie and I are in the planning stages for our first national parks road trip! With so many wonderful partners and amazing places to choose from, planning the trip is no easy task. Maybe we’ll start with a quick trip to Mt. Rushmore in South Dakota this fall. Although our handmade pottery mugs are not found at the monument, we are proud to work with Mount Rushmore Society in Hill City – so we will stop at both! The Mount Rushmore Society is a fund-raising organization that operates the Mount Rushmore Bookstores, Mount Rushmore Memories, the Mount Rushmore Audio Tour and the Mount Rushmore Institute. Heading west is the first trip that I remember taking with my brother when we were just boys. I remember stopping at Wall Drug, the Corn Palace, seeing my first buffalo and of course, Mt. Rushmore. Safe travels and happy holiday travels to everyone this fourth of July!